Whether you’re a local, national or international business, you need an online presence because the world is becoming increasingly digital. With 30% of the web using it, WordPress websites are is your best bet. But what is even more amazing is how easily you can turn a simple WordPress website into a full-fledged online store, from which your customers can book products, pay, order them for delivery, just like they would on any other e-commerce website such as Amazon or Alibaba. It requires you to install a few plugins, which you could either do yourself or hire a developer, depending on your budget. Most of the plugins are either free or come at affordable annual licenses and tech support. We compiled a list of the 20 important plugins you will need to turn your WordPress website into an online store, starting from setting up basic functions such as payment, to helping market and promote, and increase sales from your store. These are for stores that sell tangible, physical products. For virtual or digital products (such as software), there are a different set of plugins required. Stripe allows you to take payments directly onto your WooCommerce store (instead of redirecting to third-party gateways), and allows you to accept a range of cards and is now also integrated to Apple Pay. This allows the customer to freely pay as they wish and also to save their cards, which is useful for recurring customers. Since its last update, WooCommerce will ask you to select Stripe during installation itself, which saves you the effort of downloading it separately. You get into business with the chief motive of growing, and with this comes a need for larger inventory. As you go online, there is a need to manage your offline and online inventory, such that both are seamlessly integrated with each other. Two useful plugins that serve this end are are the WooCommerce Point of Sale and the Stock Synchronization plugin. The Stock Synchronization, as the name suggests, helps synchronize your offline stock to the one available on your WooCommerce store. For brick-and-mortar stores going online, this is a must-have plugin as it will save you the hassle of physically updating the quantity of every single item on the WooCommerce store. You synch through a remote .csv file and this can be done as often as on an hourly basis. The plugin also helps you set the base for the increased sales, however marginally, going online brings. It is ideally suited if you have stores in multiple locations or multiple warehouses that house your stock. The other is the WooCommerce Point of Sale plugin, which can allow you to record both online and offline orders on the same platform, therefore subverting the need for stock synchronization. Providing discounts and freebies is the oldest known trick in the trade. From the kid who wants a candy to the customer who wants that one free item, it always works. As a new store online, it is also a good way to attract higher sales. With the WooCommerce Discount Rules, you can offer buyers with offers such as ‘Buy 3 and Get 1 Free’ or get a certain sum off a total minimum purchase. The plugin helps you to set up such discounts at the product level and also based on user role on your store. It’s ideal for all kinds of businesses, be it pet products or florists, small scale, medium or large. The moment you go online, there is one big logistical challenge that comes in – shipping. Even as you want to reach to a wider audience that are global, you have to make sure to deliver the goods too. Which is why the Table Rate Shipping for WooCommerce is an important plugin if your products are going anywhere beyond your city. It will help you calculate the shipping rate of the product based on destination, weight and cart total. You can also offer standard and express delivery options, and charge accordingly. A big part of shopping online to know when your orders will be here. No one wants to receive a New Year gift in the middle of February. Or wait for two months before they wear their new shoes. With the Order Delivery Date Plugin for WooCommerce, you can allow customers to choose the available dates of delivery from a calendar drop-down on the checkout page. You can also customize what dates will show as visible, and after how many orders a particular date will show as unavailable for delivery. Similarly, you can do so for individual products with the variant, the Product Delivery Date plugin, which allows customers to pick individual delivery dates in case they are ordering multiple items. If your business offers services or rents out any kind of product, such as sports grounds or hotel rooms, the Booking & Appointment Plugin for WooCommerce allows you to turn your product into a service. You can take bookings in advance, limit bookings for a particular day or time-slot and even choose to disable bookings for particular days such as holidays. This will take your entire logistics online, leaving you to do more in the marketing, promoting and other aspects that may get neglected. If you are a small business, the ability to take WooCommerce bookings and appointments can help automate these processes so your manpower is freed up, and as a larger business, it will help bring efficiency to the organization. One of the top reasons for customers to abandon carts (a phenomenon we will talk about later) is that the checkout process is too complicated and not user-friendly. One solution to this is the WooCommerce Checkout with Aero converts your checkout pages to highly optimizing ones, from using shorter forms to adding safety badges for customer assurance. The second option is to use a simple, direct checkout process through the WooCommerce Direct Checkout. Here, as soon as the customer adds a product to the cart, they will have the option to either directly checkout or to continue shopping. This makes the whole experience easy for them, which will also encourage them to return to your site. You should use this plugin if your store sells quick-buy FMCG products, which are likely to have recurring visitors with very specific purchases. One of the biggest criticisms of online shopping is that you cannot touch and feel the product, and thus cannot trust that what you see is what you will get. Which is why it is very important that you allow customers to leave reviews on your site. 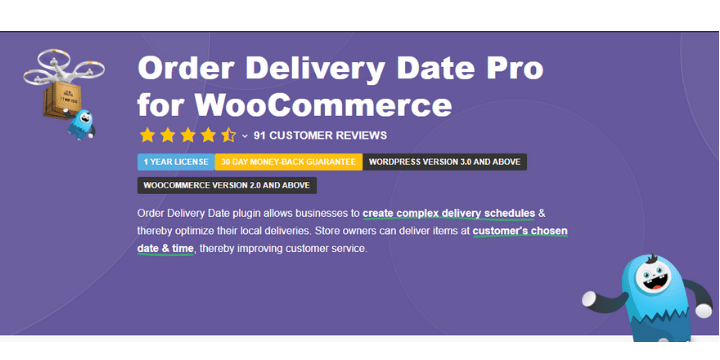 Installing the Product Reviews for WooCommerce plugin will not only will this add credibility to your products lower ratings will also work as feedback and help you improve, to cater better to your customers. Just like it is important to allow customers to leave book reviews, it is important to allow them to drop queries about your products. 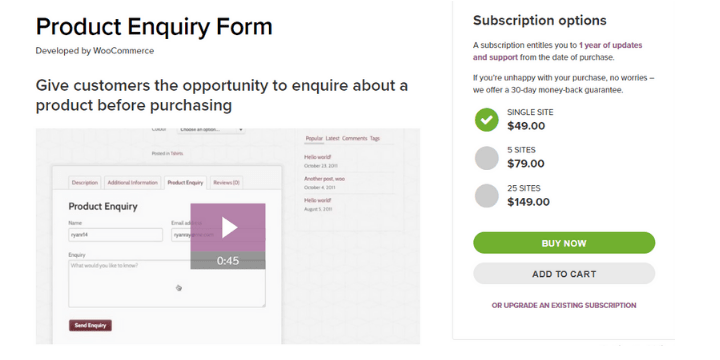 The Product Enquiry Form plugin allows you to add an extra tab to your product details page. These emails are received by the store manager who can directly reply to them. This also gives you a chance to interact with them and build the customer relationships that brick and mortar is so famous for. Just as customer reviews add credibility to your products, the zoom magnifier allows the customer to get a better look at your product. This is especially useful for businesses that deal in clothes, footwear, bags, food items, or anything sold loose. This could also include mobiles, speakers, earphones and other items. This will take away some of the deception of photographs and make your customers trust your products more. Especially important if you have a vast variety and mix of products, the WooCommerce Ajax Search plugin allows customers to search for what they want, from any page on the website, without having to go through the catalogue. They can search by product name or attributes or product tags and even through synonyms. For businesses that sell more than one type of product, such as an electronics store or a grocery store, this is a must-have plugin. While all businesses can use it, it is especially useful for medium-to-high-range products in terms of price. With the plugin, you can allow for PDF invoices to be sent automatically with the order confirmation email that you send to your customer. So even while you switch to digital, you don’t have to go entirely paperless. PDF invoices come in handy for customers if they have to claim their expenses too, from their company or clients. And you want to decrease as much of manual intervention as you can when you go online. If there is a way to automate it, do it now. With Stripe, you can allow for multiple payment options and with the Payment Gateway Based Fees and Discounts, you can apply fees or discounts based on the gateway, at the product level and also depending on where it is being shipped. This is helpful for larger businesses with more than two dominant markets. This is also useful if you want to have a certain section of your catalogue with discounts while others without. It’s a common practice among apparel brands, to have an end of season sale and you too could use it to have such phased discounts. With an entire generation with the collective attention span of a goldfish, and with the internet so vast and distracting by its very nature, you as a store owner have to take every step needed to give them all they want within that span. 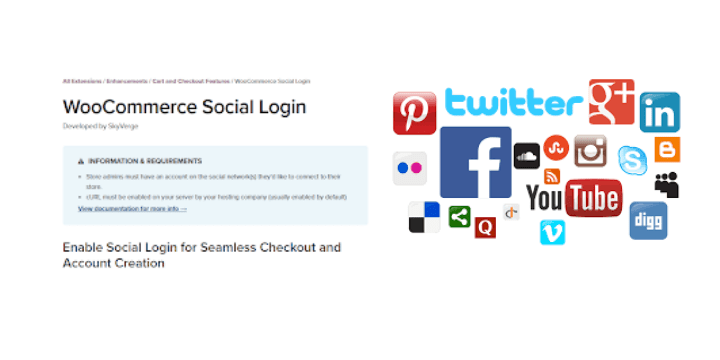 One way to do this is, allow them a one-click option to log in to your site, instead of having to make an account by installing the WooCommerce Social Login plugin. This saves them the hassle of not having to remember another name and password and also allows you to distinguish among logged in and guest users. If your brick and mortar store burns down, you know exactly how to resurrect it. Call the mason, the carpenter, the vendors for new stock and voila! It is ready. But what if something happens to your online store? Where does it go? How do you retrieve the data? 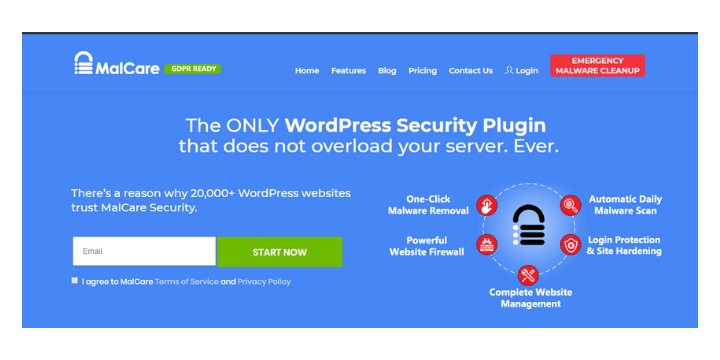 Your best bet is to back up the entire site, every tiny detail using a Backup Solution plugin, such as the one by BlogVault. It’s like having a virtual safe. As you grow bigger and your reliance on online grows, you will have to make investments to save for a rainy day and let this be the first of them. Like an insurance policy, if you will. 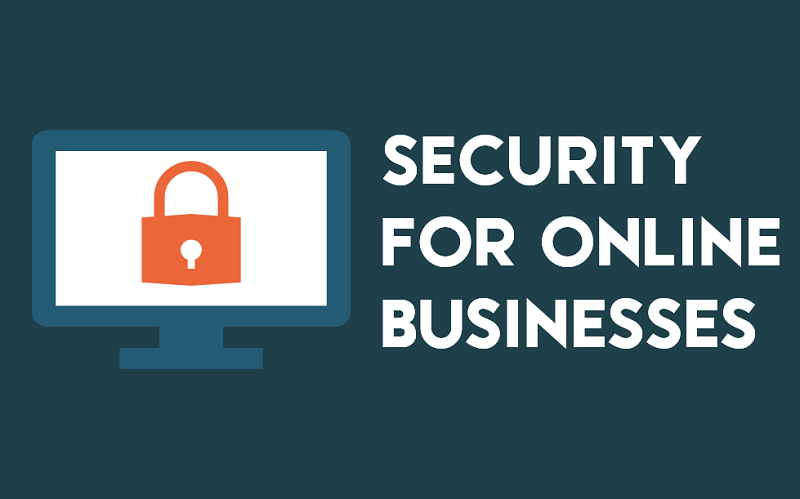 If having a backup is planning for a contingency, then having malware protection is like hiring a security guard for your store, to make sure no unwanted attackers can touch it. The MalCare plugin scans your website, provides an effective firewall and quick email alerts to notify you when something is wrong. It’s not just the padlock but an entire security system in itself. Now that all the functional aspects of your store have been taken care of, you can now move to sales and marketing. First among them is the Abandoned Cart for WooCommerce plugin, which helps you track abandoned carts and send reminder messages, in the form of emails, and text and Facebook messages to coax the customer to return to the shop. Besides customizing the email template, you can also send individual coupon codes to encourage them to shop. This will lead to what is called as recovery of sales, and of the nearly 70% of customers you would have otherwise lost to regular cart abandonment, at least a percentage of them will become customers. You have to be very careful while using the Abandoned Cart plugin. Read up on email strategies, how not to annoy customers with emails and also on some common reasons why customers abandon their carts. MailChimp, the marketing automation platform, is widely used by business owners to implement their email marketing strategies. Now, with WooChimp, you can integrate the two. New customers will automatically be added to the mailchimp database and the signup form can be displayed on any page. The shop data too is sent to MailChimp. This will have several use cases, including sending users with automatic emails on how to use your product, track latent customers and offer discounts to lure them back, send geography-specific offers to customers and much more. MailChimp itself has a free plugin that serves the same purpose but is cautious about the relatively higher number of 1-star reviews they have. With every new social media platform, there are a million more opportunities for marketing. From Facebook to Instagram and Tumblr to Whatsapp, every avenue has turned into an ad platform. With the Around.io social media plugin, you can reduce the amount of effort that goes into promoting your products on social media, so that you can concentrate on growing your business while the plugin helps you promote it. You can make monthly or weekly plans, schedule posts, make social media-friendly images and collages to go with the posts and even share content from your industry to keep your followers engaged, all without active involvement. Additionally, you can also install a social sharing plugin such as the Easy Social Share Buttons which allow customers to share the product on various platforms, thereby helping your social media marketing indirectly. It’s often said that if you spend one-hour creating content, you have to spend five hours marketing it and the faster you can do this, the better it is for you. With the Yoast WooCommerce SEO plugin, you can ensure that your content, from product descriptions to blogs, is written for the web to find it easily. SEO being a slightly longer-term strategy than, say, online ads, it is better to invest some time writing your content, from using the right keywords to using custom meta descriptions, anything that will make it easy for search engines, and through them, customers, to find you. Much like packaging and product display is as important as the quality of the product when you sell offline, your store, how it looks, the ease with which customers interact with it are all important when you take your business online. 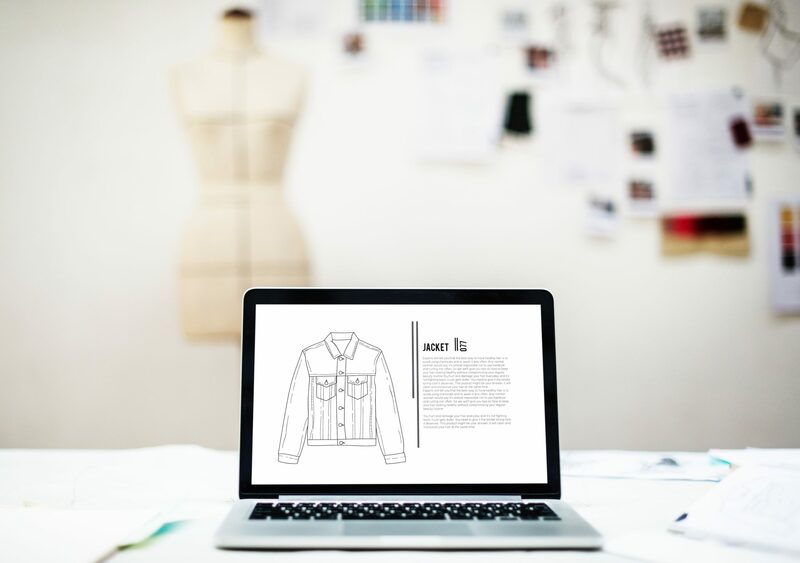 We suggest you take a little time to not just see what products you are selling today, but also what you might be selling in the next 1-2 years and build your online store accordingly. Invest now, and reap the benefits later. After all, it’s the small wise decisions that lead to big business, right? This is a guest post by Vishal Kothari. Vishal is the founder & CEO of Tyche Softwares. He is the author of a dozen plugins for WordPress & WooCommerce. Apart from steering his team through different situations, Vishal has a very sharp focus on Customer Service. He wants to ensure that every client has a delightful experience while interacting with his team. Why a Real-time WooCommerce Backup Solution Is Important For WooCommerce Sites?